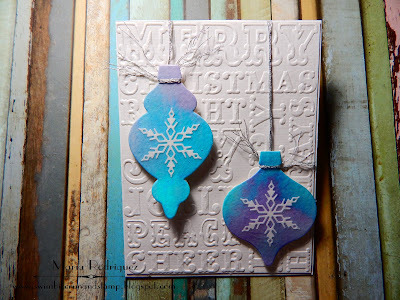 Hello dear blogging friends: Well, I must confess, I've never used the SMOOSHING TECHNIQUE BEFORE, but there is a first time for everything and the SHOPPING OUR STASH has giving me and all of you, the chance to try this fun and easy way to do a color wash background. 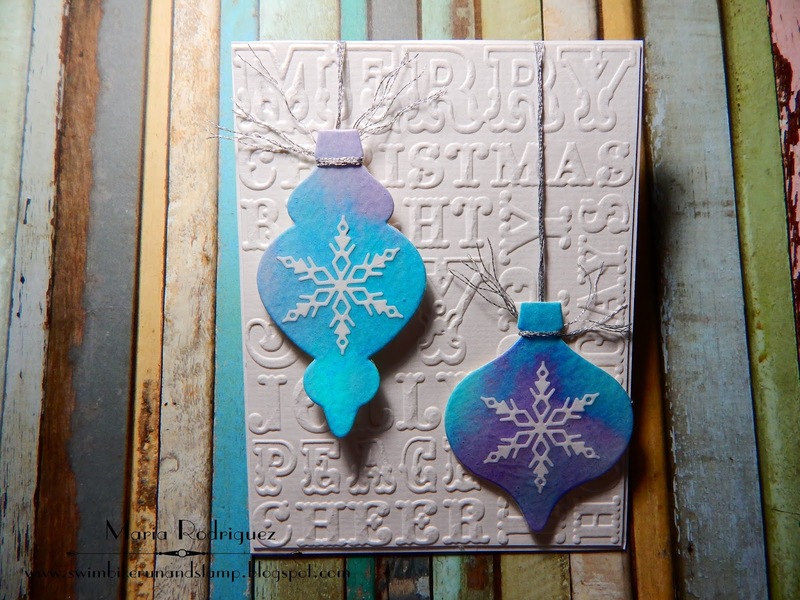 You can use your panel in which ever way you want, I chose to make a couple of pretty Christmas Ornaments and a Christmas card to add to my nice stash of Holiday cards. Here is my card, I hope it inspires you to come and play along with us in our gallery. 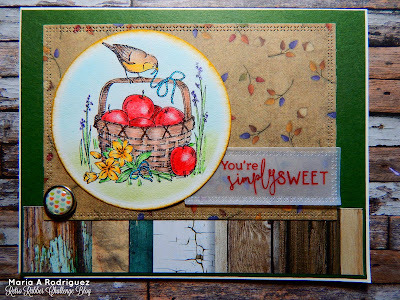 I used THIS VIDEO TUTORIAL by Loll and CASE'd THIS GORGEOUS CARD she made, I'm in love with this fabulous technique. I grabbed a panel of Watercolor paper that is nice and kind of thick to be able to absorb the pigment and keep it. I used distress inks in Mermaid Lagoon and Seedless Grapes and followed her directions, I was really pleasantly surprised at how easy and how beautiful it came out. 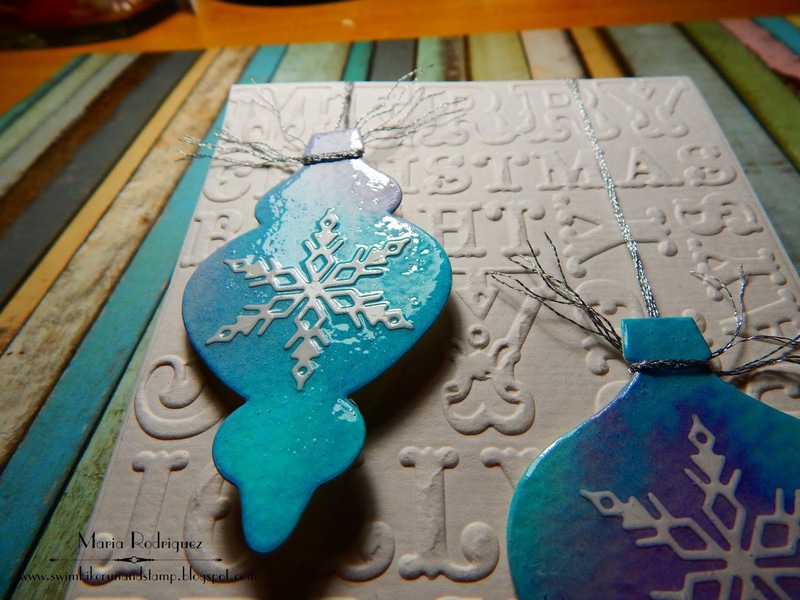 Then, I grabbed a couple of Snowflakes from a box of left over die cuts and glue them to the ornaments and then, applied a nice, thick layer of Glossy Accents all over the surface. Here are a couple of pictures of how beautifully shiny they look. I then added some silver thread and placed them on the panel with dimensional foam. The border is from a retired SU set called "Delicate Borders", the sentiment is from a Power Poppy set called POINSETTIA and the little snow flake from a Penny Black set called "A Bright Tomorrow"
So I hope you go and Shop Your Stash and come and join my teammates and I at the SHOPPING OUR STASH gallery, there you can check out their awesome creations. Allsorts Challenge Week #486 "Water or the color Blue"
Craftyhazelnut's Christmas Challenge #404 "Anything Goes Christmas"
Hiding in my Craftroom Challenge #371 "Any Holiday"
Sweet Stamping "Dies or Punches"
Crafty Catz Challenge, "Anything Goes/Optional Theme "Let's do Christmas"
Hello dear crafting friends: There is a super fabulous sketch over at the RETRO RUBBER CHALLENGE created by the also fabulous Claire Grantham for you to play with so, grab your OLDER THAN ONE YEAR stamps, get busy an come and join my teammates and me in our gallery. Here is my card and I hope you get inspired to play along. 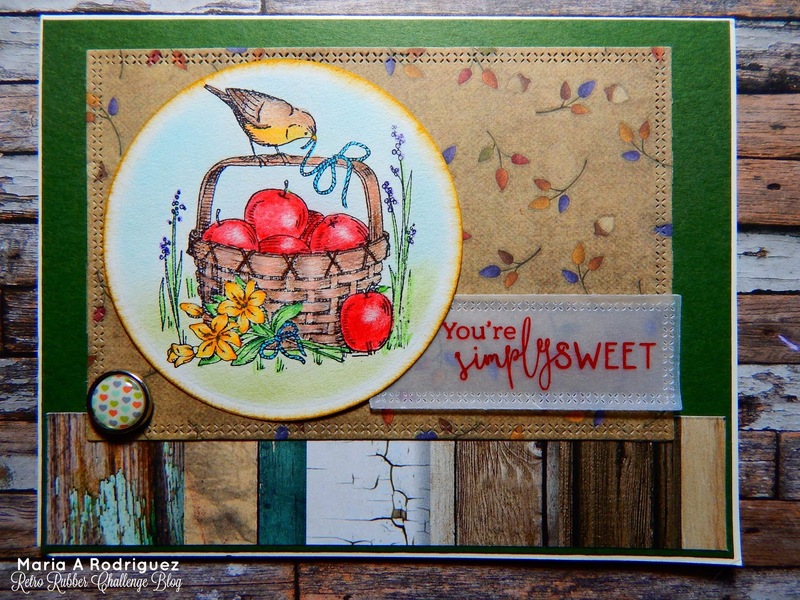 The image is from a super old Stampin' Up! set called "Feathered Hope", the wood blocks have a date on the decal that says 1998!!!!! WOW!! that was waaaaay before I even entertain the idea of stamping, heck.....it's the year my granddaughter Vanessa was born so, I was totally and completely absorbed in caring for her while her mother went to work. So, through the wonder of Ebay and while browsing one morning, I saw this set, in pristine condition and very reasonably priced so I pounced on it without a second thought, I'm now the joyful owner of this gorgeous set, it makes me happy to stamp the images and color them, I love it. The pattern paper behind the image is from a retired line from Lili of the Valley, the wood plank paper is from a collection called WOOD EFFECT from a company called MODA SCRAP. The designs on this paper are gorgeous and, to my absolute delight, they are ONE SIDED!!!!! WOO HOO!! I just couldn't possibly pick a side to put under, I just couldn't. 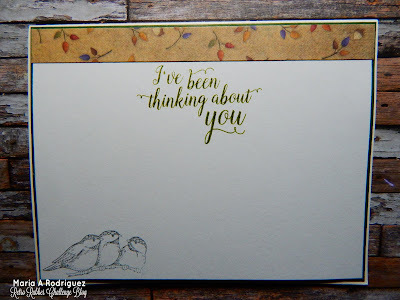 The sentiment is from a Power Poppy set called Simply Camelias, the little brad from my stash of super old Stampin' Up! embellishments, I don't remember from what year they are. 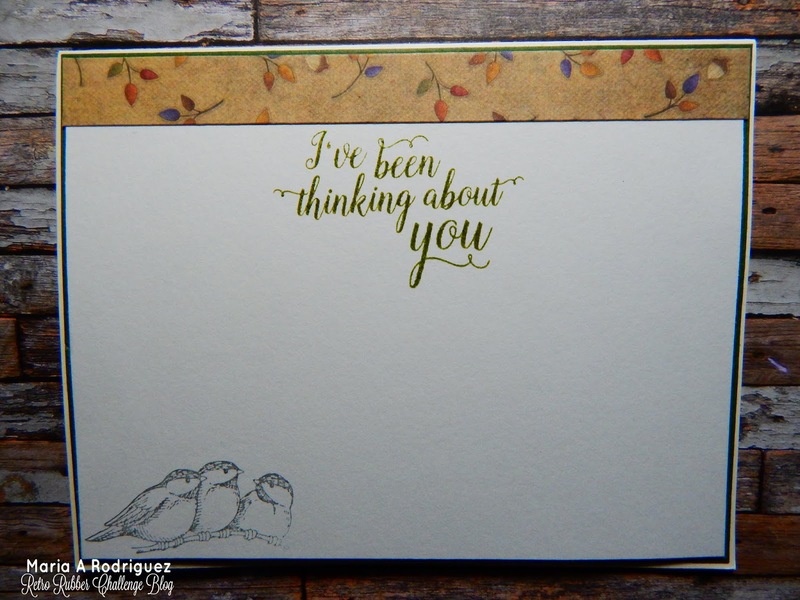 The sentiment is from another Power Poppy set called ***** and the little birds are from the SU set. I know that almost all of you guys have stamp sets that are OLDER THAN ONE YEAR and the RETRO RUBBER CHALLENGE is the perfect place to give those beloved and maybe a bit forgotten sets a chance to get inked up again and shine, WE LOVE OLD STAMPS. So I hope you go dig out your older sets and come and play along with me and my awesome teammates in our gallery. Please read OUR RULES, they are few and simple, the most important one is that at least one of the stamps you use on your cards MUST BE OLDER THAN A YEAR. I will play along with the following challenges. Cards in Envy "Feels Like Fall" Challenge. Crafty Cardmakers Challenge #218 "Autumn Colors"
The Cutie Pie Challenge Challenge #127 "Shades of Autumn"
Make My Monday Challenge #80 "Autumn/Fall Colors"